I got a crash course in the world of “higher education” when I joined the amazing team at the Vanderbilt Web Communications department. Higher-Ed was a brand new world to me, and while a lot of the same issues carry over from “normal” web design, there’s a whole different set of things to worry about. Now, over a year later, I feel like I’ve eased into the water, and It’s amazing some of the stuff that happens in this space. People are doing incredible things with WordPress, not only as a content management system but as an entire learning system. You could – with the right amount of time and development – run an entire university AND its classes on a WordPress site. There’s no surprise, then, that great communities of people would form dedicated to sharing the hows and whys of High-Ed design and development. The WPCampus conference this year is such a group, and its sophomore annual conference was a resounding success. WPCampus is focused on celebrating WordPress in the Higher Education world. It focused on design, development, content, and personal development topics for professionals in that field. With topics covering the REST API, security, content strategy, scaling a web presence for a university, and even “impostor syndrome”, there was a great selection of opportunities to learn various facets of WordPress in higher education. 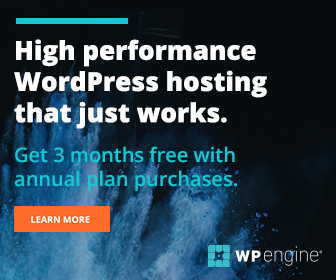 If you are involved in any way in higher education – whether it’s communications or I.T – and you use WordPress, you need to check out WPCampus. It’s worth attending, not only for the sessions, but for the opportunity to network (and kvetch!) with your fellow WordPress High-Ed Geeks!